I remember the glorious days of the real estate boom in Miami. I would go to parties every month where developers announced new projects one after the other. Along with the party came a spectacular sales office where they brought agents, media and clients to show them the building model and how finished units were going to look like. Not anymore. These things are not very common nowadays. Instead, social media and word of mouth are king these days. Real estate developers are relying more and more on technology to sell real estate, and social media is playing a very important role in this process. The Related Group, one of the biggest real estate developers in Florida, released Icon Bay condos to the public at the end of July of 2012. Icon Bay will be located in downtown Miami facing the bay on 28th avenue, a block away east from Biscayne Boulevard. There was no party and they still do not have a sales office for Icon Bay. When we were contacted by the developer the first question I asked, in addition to the regular one about pricing, was about the launch party and they said "no, there is no party, just start selling". They explained further and stated that they were contacting brokers and clients to tell them about pricing and that they were starting to take reservations right away. Brokers started spreading the word immediately using word of mouth, emails and social media. To date, they have 211 reservations out of 300 units in total. Out of those 211 reservations, 117 have full deposits of 10% of the purchase price and 30 have partial deposits. This is remarkable given the fact that they started only a couple of months ago and that prices started at $468 per square foot. As you might have noticed, $468/foot is not cheap, most condos in downtown Miami are currently selling between $350 and $450 per square foot. Therefore, there are two important conclusions from this analysis. The first one is that the Miami real estate market is experiencing a solid recovery. 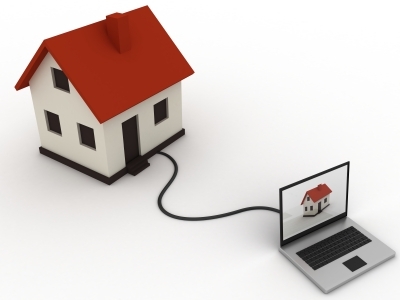 And secondly, developers are relying on technology more and more to streamline the selling process. If social media helped people in the middle east bring down their autocratic governments, why can't we use it to improve the real estate business?